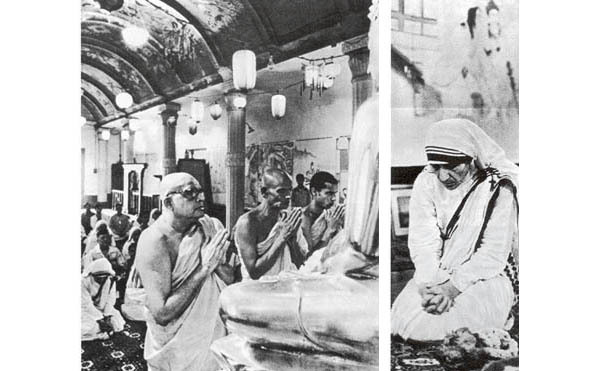 October 7, 1975 - At left, in Calcutta, Mother Teresa worships Buddha in a ceremony of thanksgiving for the 25th anniversary of the Missionaries of Charity. She is the first on the left, recollected in profound prayer. At right, another close-up from the same ceremony.